The 3M Air Mate 10 Belt-Mounted PAPR Assembly is lightweight and designed to be worn for long periods on the waist of the user. 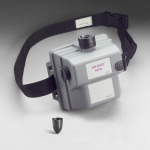 The Air-Mate 10 incorporates the blower, filter, and battery as a single compact and lightweight belt-mounted unit for respiratory protection against airborne particles. Each is a powered air purifying respirator system with a cool, fresh flow of air passing over and in front of the operator’s head and face. The elastic face seal keeps the air within the breathing zone. 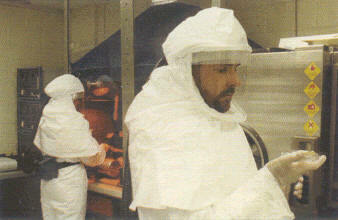 Lightweight and NIOSH approved HEPA protection against dust, mist and fumes. Dimensions – 9.6″L x 7.1″W x 6.3″D. 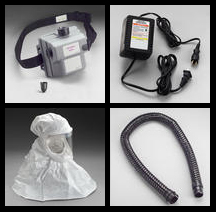 Includes: Air Filter Unit, Waist Belt, Battery Pack, HEPA Filter (8cfm) and Airflow Indicator. Features » These lightweight systems are comfortable and user accepted for long periods of wear. » Available with head cover or hood in 2 sizes. » Filter and battery are enclosed in a single belt-mounted unit. » Uses a rechargeable nicad battery (lasts approximately 7-8hrs on a full charge). » Accommodates facial hair and personal glasses. Facial hair cannot obstruct the hood seal. » The single filter system is economical to use. » Easy to maintain for reduced costs. 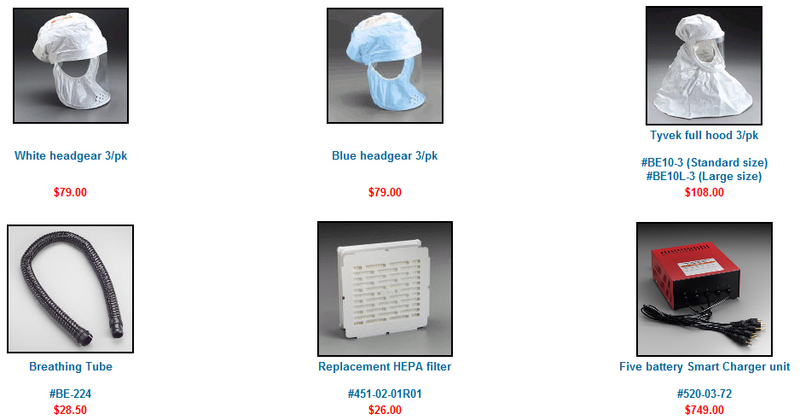 For use up to 1000 x PEL for hoods; 25 x PEL for head covers or applicable OSHA or other government limits, whichever is lower.